Academic Staff Gao, Jack Q.
Dr. Jack Q. GAO is Founding Partner and CEO of Beijing TDFT Co., who started and operates “Smart Cinemas”, the movie cinema services on mobile devices. During 2015-2017, Dr. Gao as Group Senior Vice President and CEO of International Investments and Operations, worked for Wanda Cultural Industry Group. Besides, Dr. Gao was also Interim CEO of Legendary Entertainment during 2017. Previously, Dr. Gao was Senior Vice President for News Corporation and Twenty-First Century Fox, Inc. (NYSE: NWS, 2006-2014). His roles included serving as CEO, NWS China Investments (2010-2014); CEO, Star TV China Co. (2006-2010); Chairman, MySpace China (2007-2010) and Chief Representative, NWS Beijing Representative Office (2006-2014). Earlier, Dr. Gao was President and General Manager of Microsoft China (NASDAQ: MSFT), General Partner of Walden International, a leading venture capital firm in U.S., and Corporate Vice President and President of Emerging Geographies for Autodesk Inc. (NASDAQ: ADSK), where he directed all operations in Greater China and India. Today, Dr. Gao is on the AFI (American Film Institute) Board of Trustees and also on the board of AGTech Holding Ltd. (HKEX: 08279) and Vantone Holding Co. Ltd. (CN:600624). Previously Dr. Gao was the board director of AMC Entertainment Holdings, Inc. (NYSE: AMC), Legendary Entertainment, France’s EuropaCity, British Sunseeker International, Switzerland Infront Sports & Media AG, World Triathlon Corporation and Phoenix Satellite TV Holding Ltd. (HKEX: 02008). Dr. Gao graduated from the Harbin Institute of Technology and the University of California, Los Angeles with B.S., M.S. and Ph.D. Degrees in Engineering and has been an Adjunct Professor at The Chinese University of Hong Kong Business School since 2011. As Senior Vice President of News Corporation (NYSE: NWS, NWS.A; ASX: NWS, NWSLV), CEO of News Corporation China Investments (2010-present), CEO of Star TV (2006-2010) and Chief Representative of News Corporation Beijing Representative Office since 2006, Dr. Jack Gao is responsible for News Corporation’s strategy, government relations, business developments, strategic investments and Star TV’s overall operations in China. Prior to joining NWS, Dr. Gao served for more than three years as Vice President, Apac Emerging Geography for Autodesk Inc. (NASDAQ: ADSK), where he directed all operations in Greater China and India. In addition, he chaired the Corporate Emerging Market Taskforce (China, India, Brazil and Russia). Autodesk China was recognized by China IT media as one of the most successful multi-national companies in the country. Before 2003, Dr. Gao was General Partner of Walden International, a leading venture capital firm in USA. During 1999 and 2002, Dr. Gao was President and General Manager of Microsoft (China) Co. (NASDAQ: MSFT), Ltd, He helped shape, implement and direct Microsoft’s business development strategy, sales & marketing, government relations, overall business and financial administration including human resources operations in mainland China. Sales revenue in China was tripled under Dr. Gao’s leadership. 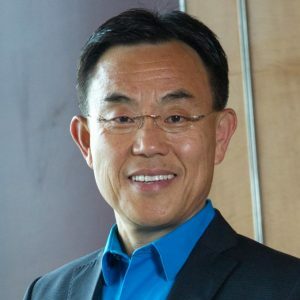 In January 1995, Dr. Gao was named Autodesk’s first Regional Director, Greater China, and General Manager for Mainland China.. Before joining Autodesk, he was the International Distributor Manager for Asia (Japan, Korea, Taiwan, Mainland China and HK) in MSC/PDA, based in Los Angeles, with responsibility for driving sales channel development and regional sales revenue. Prior to MSC/PDA, he worked for CSAR Corp. in Los Angeles, as Senior Researcher in R&D since 1989. Prior to CSAR and his graduate studies in the USA, Dr. Gao was appointed Assistant Professor in Engineering as a faculty member of the Harbin Institute of Technology in China. Recognition of Dr. Gao’s accomplishments: In 2000, honored as one of the Top Ten Most Influential IT Manager in China, by China Computer News; designated Multinational Outstanding Professional in 2001 by China News; selected as one of Top 10 Manufacture Information Leaders in 2004 by eWorks; named Top Executive of China Software Companies in 2005 by China Software Association and Software World; identified as Most Valuable Manager in China in 2005 by Phoenix TV, Sina.com, Talents Magazine and Beijing Youth Daily, chosen as Cover-page Influential in China IT Industry In Last 20 Years in 2005 by China Information World; ranked among the Top 10 Most Outstanding Media Chinese Talents in the World in 2008 by Asia-Pacific Economic Event; praised as Best Professional Manager in the Decade in 2010 by China IT Manage and conferred Outstanding Contribution Award in 2011 by US-China (USCN) Business Association. Dr. Gao is on the Boards of Phoenix Television (SEHK: 2008), Tianji Media Group, Beijing Vantone Industrial Co. Ltd. (CN Stock code: 600246,), Global Financial Technology, Digu.com, Bona Film Group (NASDAQ: bona) and Advisor Board of China Broadband Capital, Center BiG of Chinese University of Hong Kong and R&D center of China Int’l Communications.